Yvonne Tso, Pharm.D., MBA, is a Vice President at Medicare Compliance Solutions. 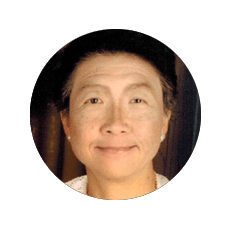 Yvonne has been in the managed care industry for over 10 years and advises health plans and investment firms on Medicare, Medicaid and managed care operational and compliance processes. Since 2005, the transition year prior to launch of the Medicare prescription drug program (Part D), Yvonne has supported drug plan clients in developing their formularies, competitive benefit designs, Star measure monitoring, utilization management (UM) guidelines and quality improvement (QI) programs. Prior to joining MCS, Yvonne was the Vice President of Pharmacy for a Medicare Advantage Prescription Drug Plan and helped the plan pass the validation audit pursuant to enforcement action. She had worked for a pharmacy benefit management company specializing in specialty pharmaceuticals. Yvonne had also worked for a software company where she was Product Manager for Prescription Drug Event (PDE) and was the subject matter expert in writing technical specifications for PDE reconciliation and audit and testing the application with PDE data. She also helped to develop the logic to identify suspects for risk adjustment. Yvonne worked on several CMS contracts that require knowledge of quality measure development, data matching (Medicare-Medicaid) and detecting fraud, waste and abuse in Part C and D.